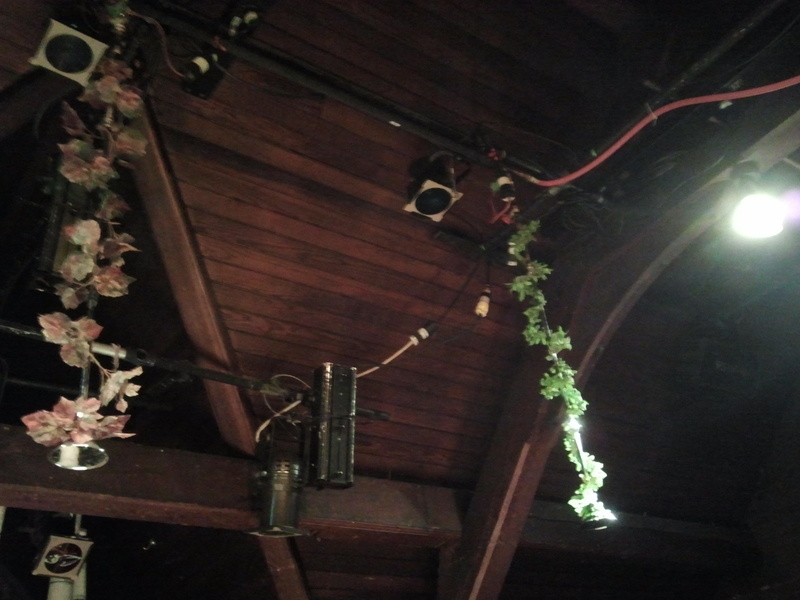 When we enter the theatre, the three women are already onstage, splayed out in the semi-darkness in the three bathtubs. Drowned. The bathtubs emerge from jagged-toothed holes in the ground, yawned forth like coffins – each with a blank foot stone facing downstage. 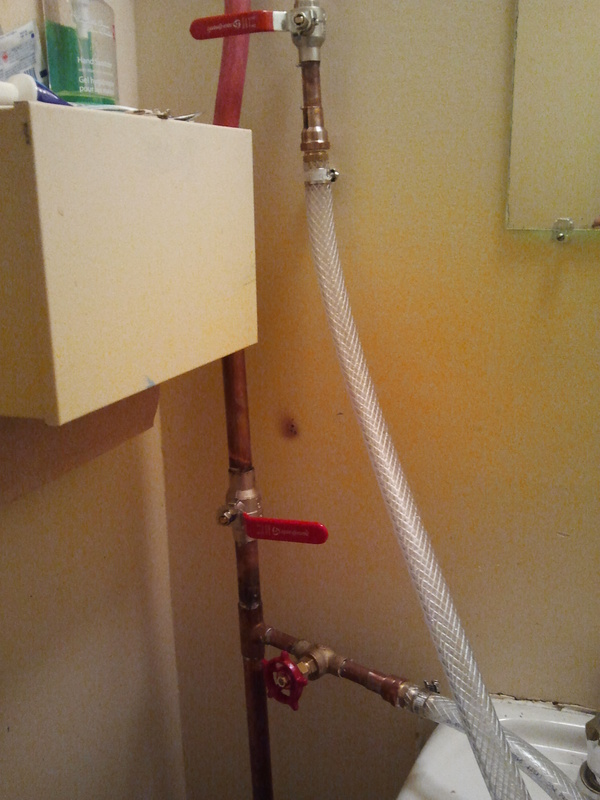 Vines snake around the shower plumbing above each tub. Beautiful white birch trees stand sentinel in the background. Silent witnesses. 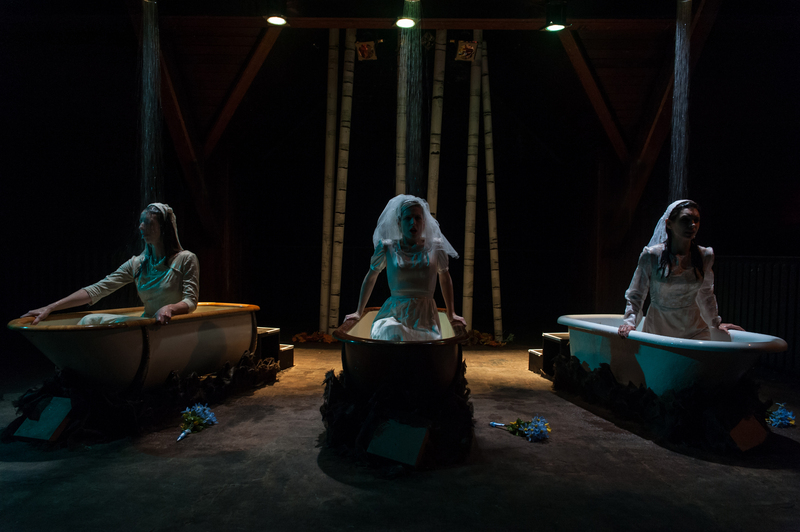 The Drowning Girls, written by Beth Graham, Charlie Tomlinson and Daniela Vlaskalic, and directed for Alumnae Theatre Company by Taryn Jorgenson, opened last night in the studio space. The play is inspired by the real-life British murder case, dubbed The Brides in the Bath Case, which revealed how George Joseph Smith – under the guise of different names – married seven women between 1908 and 1914, swindling each of her savings and drowning three of the last four in the bath: Bessie, Alice and Margaret. Jorgensen has a marvelous cast for this piece, with outstanding performances from Tennille Read (Bessie), Jennifer Neales (Alice) and Emily Opal Smith (Margaret) – each taking on multiple characters throughout, including the women’s killer husband. Read is dreamy, romance-loving and sensuous as the 33-year-old Bessie, surrendering to her adoration of Henry. Neales is playful, youthfully irreverent and naively daring as the 26-year-old Alice, ignoring her family’s protests as she is drawn to the “devil” George. And Smith’s 38-year-old Margaret is proper, prudish and full of longing, taken in by John’s promises of love and security. What all three women have in common is that they live in a time and place where women need a man for survival, and face strong social pressure to marry. And they don’t want to live out their lives alone as lonely, pitied spinsters. And all acted in and around bathtubs – in water and under working showers. Each dons a wedding dress at the beginning of the play and as the play unfolds, each woman takes ownership of her story and casts aside the self-blame for how her story ended – the dresses cast off in the end as each curls up, relieved and relaxed, in her tub. And on the foot stones: Good Bye; Don’t Forget; Miss You. 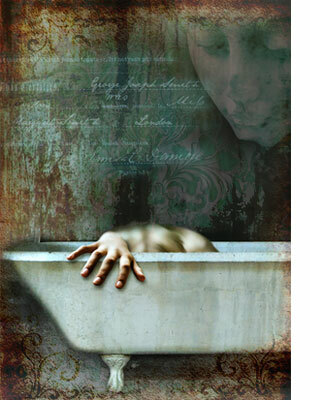 Gripping, moving, playful and superbly performed, The Drowning Girls is a story of murdered women refusing to be victims and finding redemption in becoming their own storytellers. With shouts to assistant director Antara Keelor, producer Andy Fraser (assisted by Brenda Darling), stage manager Laura Paduch, ASM/sound op Jeremy Loughton and marketing/publicity/bloggergal Tina McCulloch, as well as design team Bec Brownstone (costumes), Rick Jones (sound), Jennifer Oliver (props), Mike Peck (master carpenter) and Ed Rosing (set and lighting). As always, a wonderful opening night reception nosh, helmed by Sandy Schneider, with Bev Atkinson, Razie Brownstone, Brenda Darling and Martha Spence.